Integrating biosensors into clothing isn’t as easy as it sounds. Attention has to be paid, for instance, to the impact fabric morphology and continuous deformation (through body movement) have on sensor performance. Screen-printing technology was used to create sensors that can be distorted without affecting performance. To prove that a wearable, non-invasive healthcare monitor wasn’t just the the stuff of sci-fi, the scientists used screen-printing technology to fabricate thick-film amperometric sensors that can be stretched, flexed, and crushed without impeding their ability to detect changes in the wearer’s body chemistry. And their guinea pig of choice? 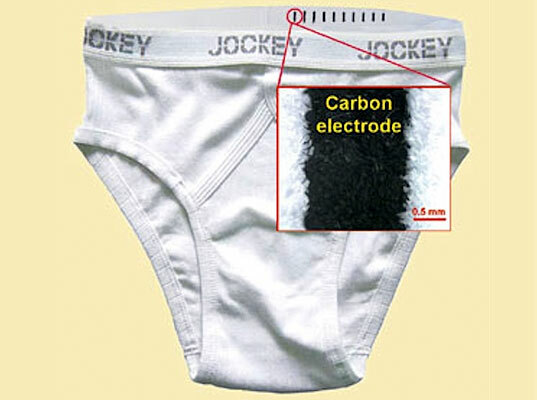 Men’s briefs, for their direct exposure to skin and potential for direct sweat monitoring. 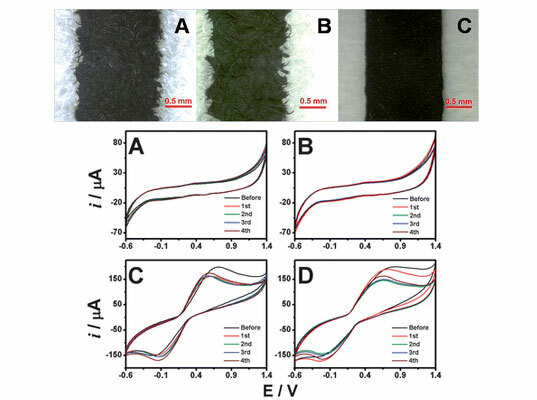 “Clothing-integrated electrochemical sensors hold considerable promise for future healthcare, military, or sport applications,” the researchers say, noting that the technology can be honed to monitor alcohol consumption in drivers or stress levels in soldiers and athletes. The technology can be honed to monitor alcohol consumption in drivers or stress levels in soldiers. The days when you could count on your clothes to maintain some modicum of discretion, it would seem, are numbered.